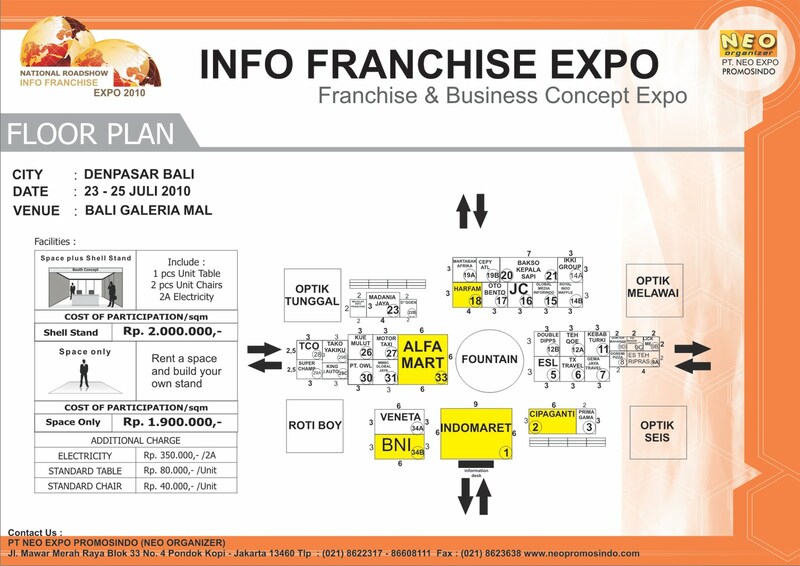 Setelah Sukses dengan INFO FRANCHISE EXPO 2010 "The Spirit of Entrepreneurship" di 6 kota pada awal hingga pertengahan 2010, kini akan segera hadir Rangkaian Pameran Nasional INFO FRANCHISE EXPO 2010 "The Spirit of Entrepreneurship" di Lima Kota Besar Di Indonesia. 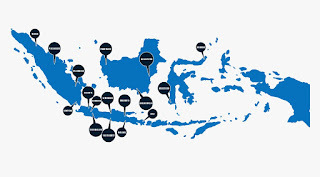 Franchise and Business Opportunity concept now days become one of trendsetter which giving new color in dynamic growth of Indonesian economic. This both sector -franchise & business opportunity- growth not only improving great economic system but also creating larger job opportunities. The Passion of entrepreneurship has booming globally and it need a right place to promote and socialize with. 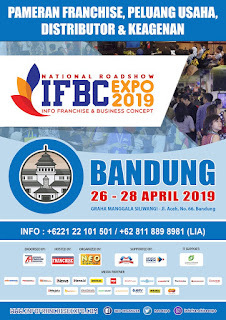 NEO EXPO PROMOSINDO has collaboration with INFO FRANCHISE INDONESIA Magazine, supported by BANK BNI 46 and INDONESIAN FRANCHISE ASSOCIATION (IFA) as organization who covered franchise business and business opportunity in Indonesia celebrating National Roadshow INFO FRANCHISE EXPO 2010. Theme for this year are "The Spirit of Entrepreneurship". 14.Invitation to neighbour city's government institution. 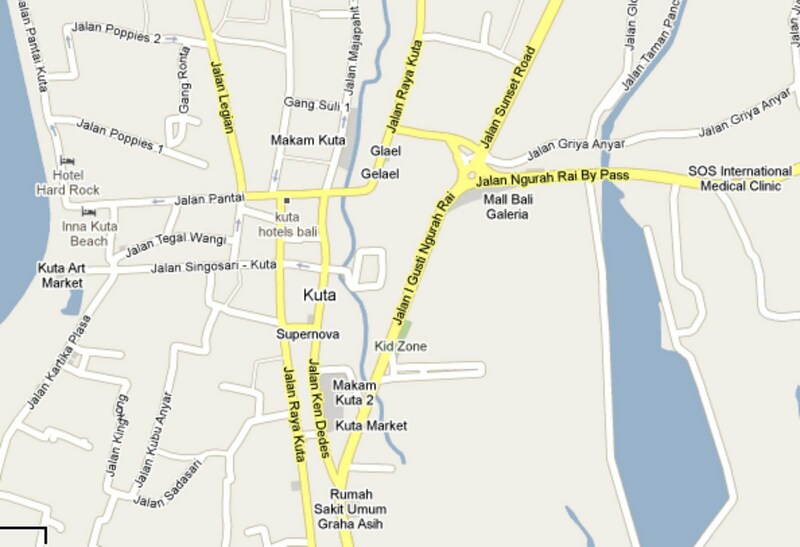 BANK BNI 46, Alfamart, Indomaret, Venetta System, TX Travel, ESL Courier & Cargo, MMBC Global Jaya, Gema Jaya Travel, Double Dipps, Teh Qoe, Dokter Maharani Spa, Lick Me, Royal Crepes, Royal IndoWaffle, Bakso Kepala Sapi, Harfam JM, Oto Bento, JnC Cookies, Global Media Inforindo, Cipaganti Travel, King Auto, Martabak Sarang Semut, Mie Cendol, Ikki Sushi, Martabak Bolu Suka-Suka, Martabak Afrika, Kue Mulut, Kebab Turki Baba Rafi, Pirramizza, Super Champ Education, OWL Teh Tarik (PT.OWL), Motor Taxi, Visi Mandiri School, Primagama English, Takoyakiku, D' Goen Es Degan Aneka Rasa, Majalah INFO FRANCHISE INDONESIA. 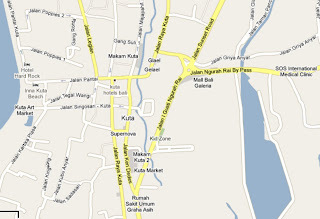 Jl.POM XI Palembang Square, Palembang.